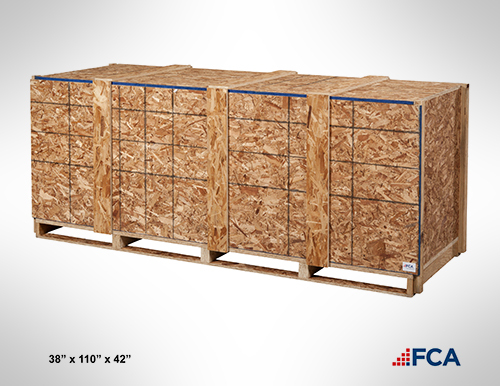 FCA is the industry leader in designing, manufacturing and managing heavy-duty custom engine skids for our customers. 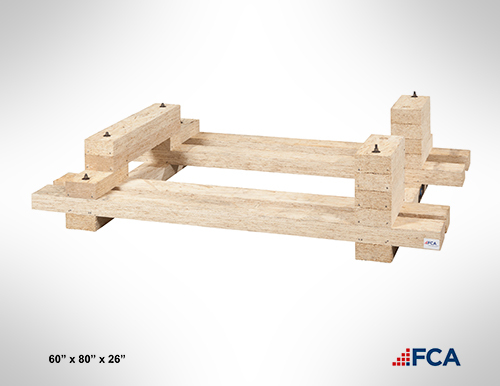 This particular product holds a 2,000 lbs. 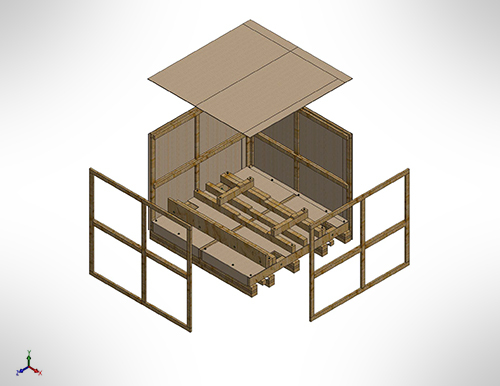 diesel engine and gets recycled 3-5 times. 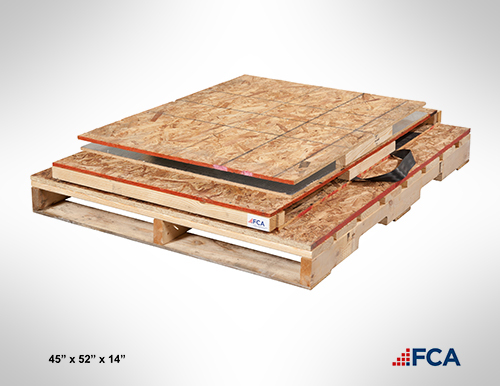 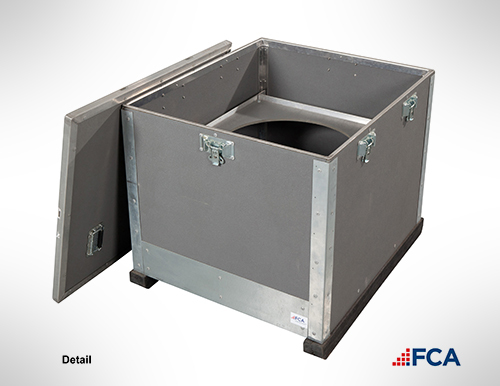 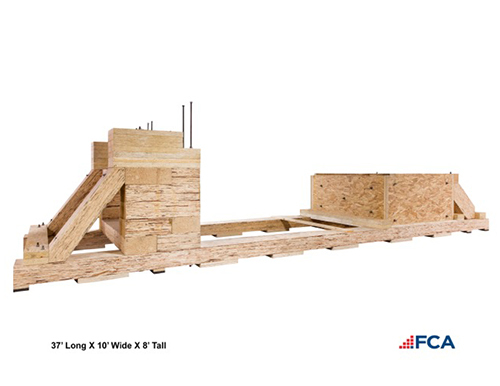 FCA specializes in building durable skids for heavy engines, generators, and other engine and power generation equipment. 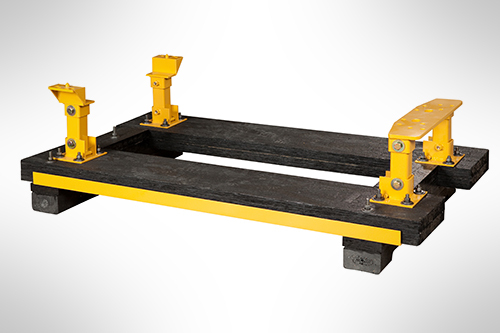 This particular skid holds a 20,000 lbs. 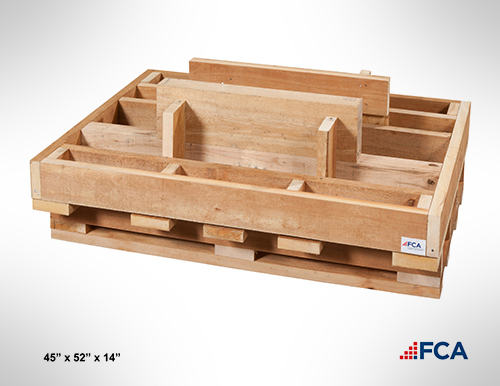 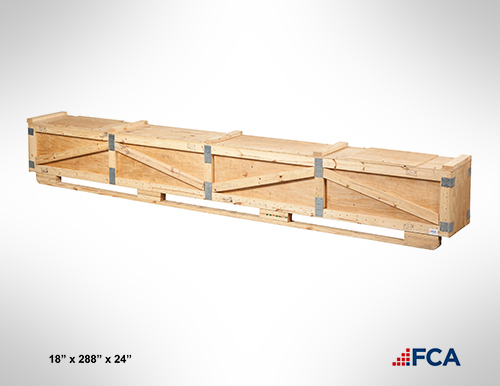 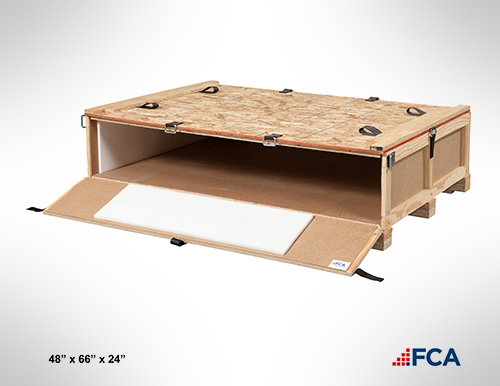 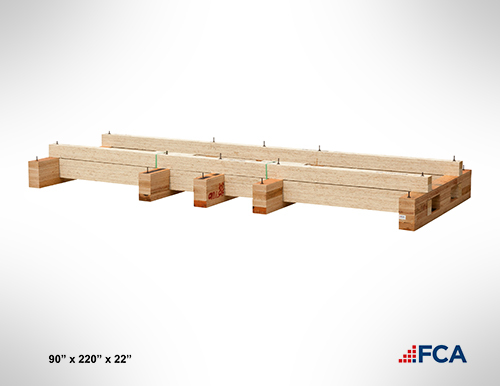 engine and is supported by superior design, durable engineered wood, and FCA engineering. 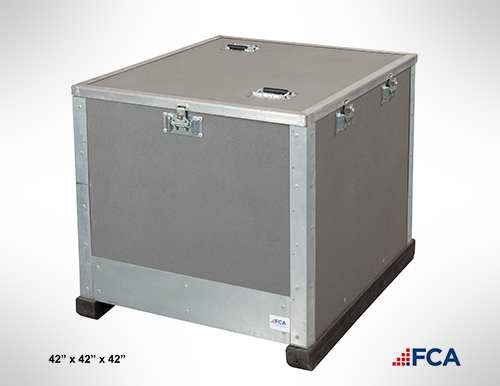 Specialty fabrics, films and paper products often require custom packaging solutions for shipping. 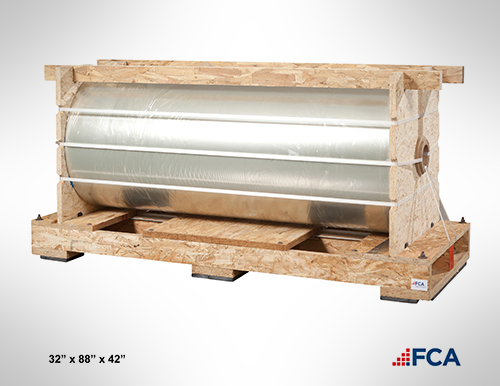 This custom skid holds this extremely heavy and high value film, keeping it secure during shipping.